LPWAN is the future of wireless telecommunication for IoT devices. Low-power wide area networks are designed to allow long range communications at a low bit rate among connected objects and bring low cost connectivity to previously unreachable areas. One of such networks is LoRaWAN developed by the LoRa Alliance. 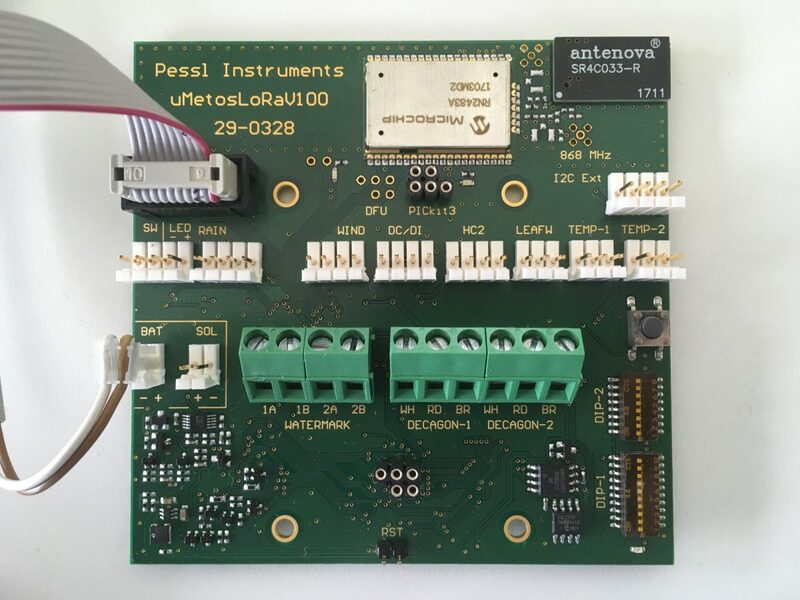 µMETOS LoRa is a LoRa network based data logger. Compared to the standard iMETOS station it does not require a SIM card to transmit logged data and can work on any existing public or private LoRa network. If there is no LoRa network available, it can be set up. Main advantages of the device are low power consumption, minimal operational costs and simplicity of use. µMETOS LoRa data logger is in the final stage of development. We have set up our own LoRa network in Weiz, Austria, where we are doing extensive tests with our and third party LoRa devices. Additional tests will also be conducted this month in Italy, Poland and UK. Launch of the device is expected in the beginning of next growing season – January 2018. That would be the end of this article. Right here youll come across some web pages that we assume youll value, just click the links. Please go to the sites we follow, including this a single, as it represents our picks through the web.